​Jackie Robinson's impact on the sport of baseball will never be forgotten, and each year on April 15 the league honors the man who overcame racial divide by breaking the league's color barrier. Robinson's fight for equality lives on in memory today, and MLB players hold him in the highest regard. The cleats feature a gray No. 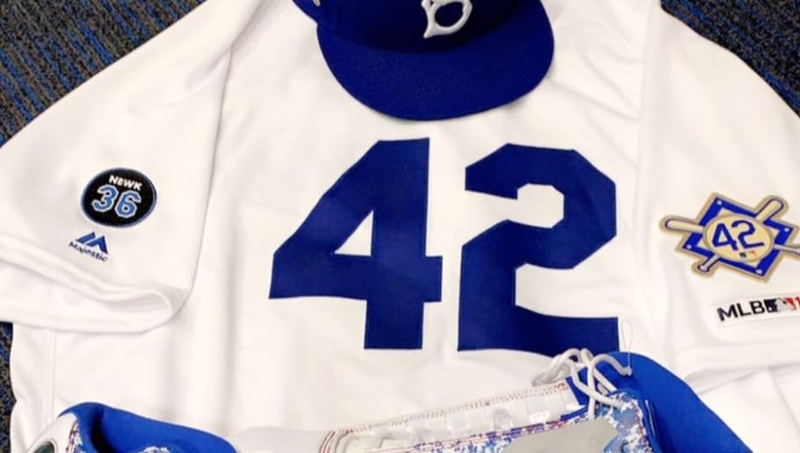 42 on the sides with the Dodgers' blue and white in addition to the red stiching. To top off the outfit, the Dodgers will be wearing their throwback uniforms from when the team was in Brooklyn in order to honor Robinson. Jansen has idolized Robinson throughout his entire career and today will be no different. Jansen's tribute is just a small showcase of how important Robinson was -- and still is -- to the sport of baseball. Hopefully the right-hander can back up the visuals with a strong performance on the mound if he's called upon for closing duties.